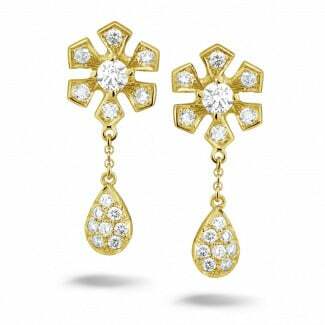 With the yellow gold earrings with diamond from BAUNAT, you shine at every occasion. Our complete collection is hand crafted using only the highest quality materials. 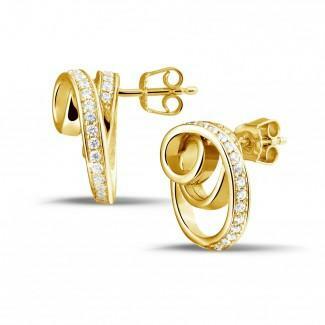 We also offer the jewels of this collection in white gold, platinum or red gold. Each piece of jewellery is carefully hand crafted, while our experts ensure that only the highest quality precious metals and diamonds are used. Are you looking for an exclusive gift that meets your personal style and taste perfectly? We can also create a tailor made jewel for you, with your own ideas as a starting point. We will guide you throughout the whole process, from rough sketch to finished jewel. Would you like more information regarding our exclusive collections, the quality of our jewels or the different diamond shapes we offer? Book an appointment and visit one of our specialized showrooms. Let yourself be inspired by one of our experts and admire our collection of diamond earrings in person. 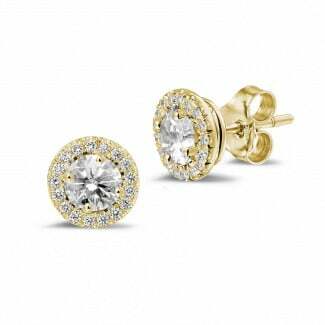 Can I buy my diamond earrings online? 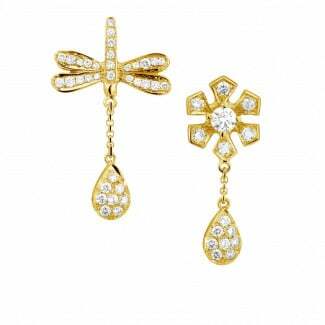 The complete collection of BAUNAT jewellery can be consulted online. When you have made your choice, you can quickly and easily order your jewel online. 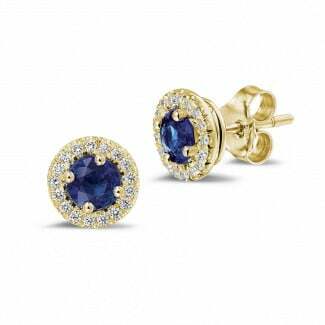 This way, you can save up to 30 to 50% in purchase price compared to your local jeweller. Furthermore, we offer free shipping, as well as a 30 day return policy. In other words, if your purchase does not fully meet your expectations, you can exchange it hassle-free.